With more than four decades of industry experience, Christopher Garnter, PE and CEO of GARTNER & associates knows his way around a construction project. Clients hire his firm to assemble project teams and facilitate their subsequent construction builds. In his time in the industry, Chris has observed that owners tend to ask two questions first: How much and when? To answer these questions, Chris is expected to prepare plans that include budgets running the entire life of their projects. Clients also expect the firm to provide cost estimates for all change orders. Historical data is often a solid starting point, but Chris has found more information is required to provide a truly reliable estimate. Over the years, he has observed more estimating mistakes have been made through omission rather than pricing incorrectly—a careful eye is key. For more than three decades, GARTNER & associates has relied on RSMeans data from Gordian to build their estimates. During initial budgeting, the firm uses Square Foot Costs from RSMeans Data Online, which provide the building components required to develop accurate assemblies-level cost estimates. This gives Chris a big picture vantage point and ensures no tasks or materials are falling through the budgetary cracks, along with a solid idea of the high-level costs for budget and approval purposes. 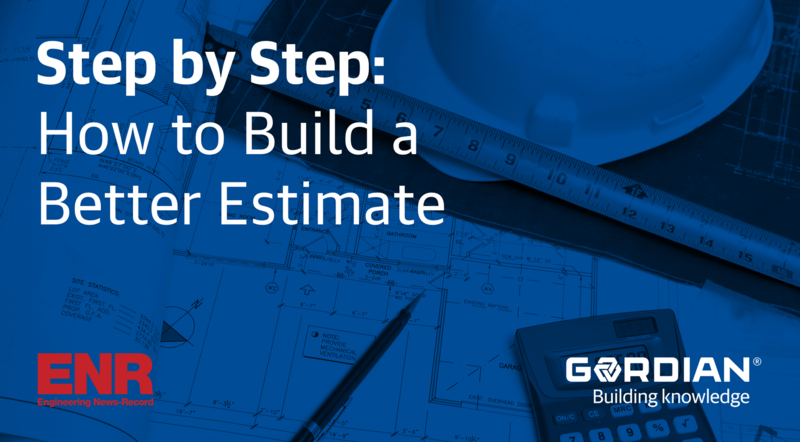 From there, unit cost estimates are created to hone in on itemized costing and detail out specific aspects of the project to increase accuracy. RSMeans data is further leveraged during change orders to ensure costs are reasonable for all parties involved. GARTNER & associates has completed more than 400 projects over the last three decades, and RSMeans data has played a significant role in these successes. Chris has seen the tangible benefits of the accuracy of the database firsthand. For example, his team shepherded the $35 million renovation of the California Building, an elegant mixed-use space in downtown New Orleans. Projecting the cost of transforming a World War II-era structure into a modern combination of retail and luxury living is no small task, but his team’s project estimate came in less than four percent of the final cost. On a separate project for a shopping center in Austin, Texas, the GARTNER cost estimate proved to be with 0.5 percent of the contractor’s bid. Creating detailed estimates during the planning stages of a project using RSMeans data ensures accuracy and helps Chris and the GARTNER team build trust with clients. Without localized and accurate construction cost data, Chris’ team would struggle in building reliable estimates – especially for work they are previously unfamiliar with. GARTNER & associates mitigates their risk and provides their clients budgets that are accurate, dependable and thorough with RSMeans data. Christopher Gartner, PE founded GARTNER & associates, a construction management firm, 33 years ago. GARTNER & associates has worked on $4 billion worth of projects nationwide.